The Emerson Volunteer Fire Department was formed in November 1905. Currently, there are 60 members of the department. We are on call 24 hours a day, 7 days a week, 365 days a year. We respond to many different types of calls for assistance: from a report of smoke in a house, to motor vehicle accidents, to flooded basements. ​​Do you bill for your services? ​What if I am not sure if there is a fire in my home, like an odor but no fire visible, or a spark in an appliance? ​What happens when I report a fire? ​After you hang up with the police on 9-1-1, they dispatch the Fire Department over the radio. Every member has a pager. First we receive a tone to let us know to stand by our pagers to receive vital information about the nature of the emergency (location of emergency, type of emergency, etc). After the dispatch, we stop everything we are doing at that moment and go to our firehouses. We then gear up, get in the trucks and head to the scene. ​Why does the Fire Department make so much noise when they respond to a call? ​State law requires that vehicles responding to an emergency must use both red lights and sirens, for the safety of both the responding crew, pedestrians and the motoring public, especially with the increases in sound insulation in cars, car stereos, and air conditioners. There is also no volume control on sirens, so we cannot "lower the volume". We do try to respect the community at night and use discretion when responding. ​What can I do to make your response to my house an easy one? ​If you and your neighbors could help keep the hydrant visible and free from obstructions such as dirt, weeds or snow, it would help us greatly. Finding a hydrant at night can be harder than you think and time is very important when a structure is on fire! A poorly marked address can delay emergency response time when minutes and seconds make a difference between life and death. Also, Addresses covered by paint and shrubbery are hard to see. Night and weather conditions may affect their visibility as well. Place house numerals where they can be seen clearly from the street and paint them a color that contrasts with what they are mounted on. If possible, a decorative lamp or spotlight on the number can help a lot. When you call 911 with an emergency, give clear, concise directions and if possible and have someone go to the end of the driveway or the street to show us exactly where to go. ​Will the Fire Department respond if my carbon monoxide detector activates? ​Does the Fire Department rescue cats from trees? ​No. The Fire Department does not respond to these requests. The Emerson Fire Department exists to assist the public in the protection of life and property by minimizing the impact of fire, emergencies, and potential disasters. We understand that pets are very important to you. Generally most cats come down the same way they get up. However, if your cat is caught in a tree we recommend people contact the Humane Society for assistance or in the yellow pages under “Animal Rescue-Relocate & Transport”. ​A member of my family is disabled, what does he/she do during a fire? ​Assure that you have a well-defined escape plan. Make sure that people who are confined to a wheelchair have immediate access to their wheelchair when an emergency occurs. Also, you may contact the Fire Department and let us know ahead of time that you have a disabled resident. 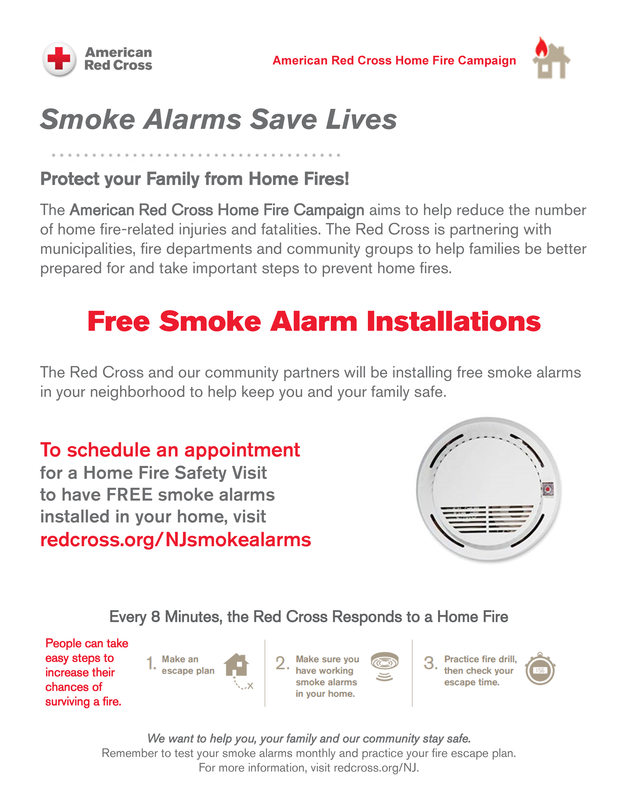 ​Where should smoke detectors be placed in my home? 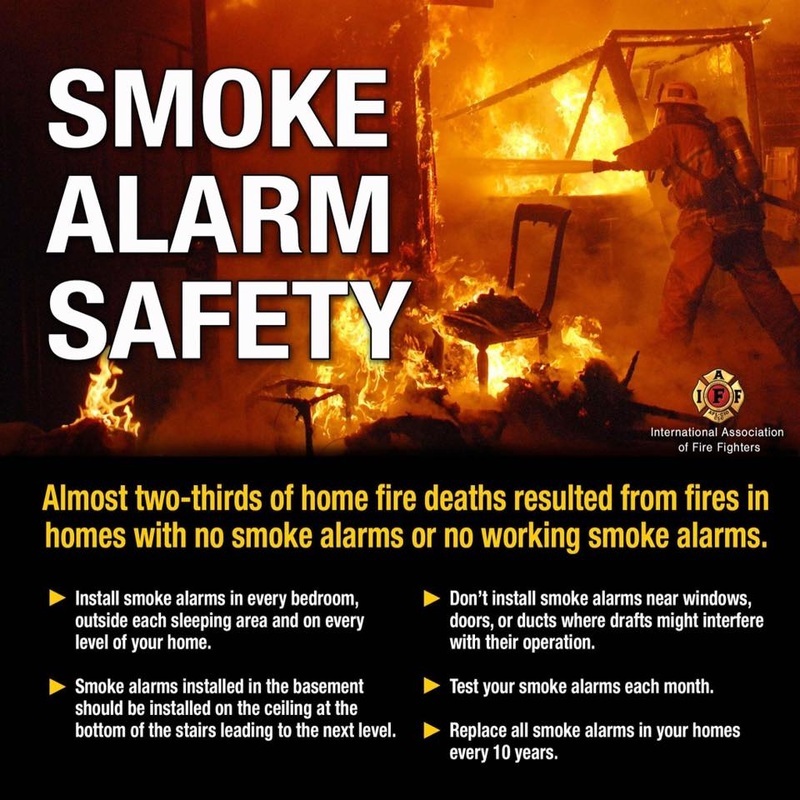 ​Residential smoke detectors are early warning devices to wake a sleeping person or persons. 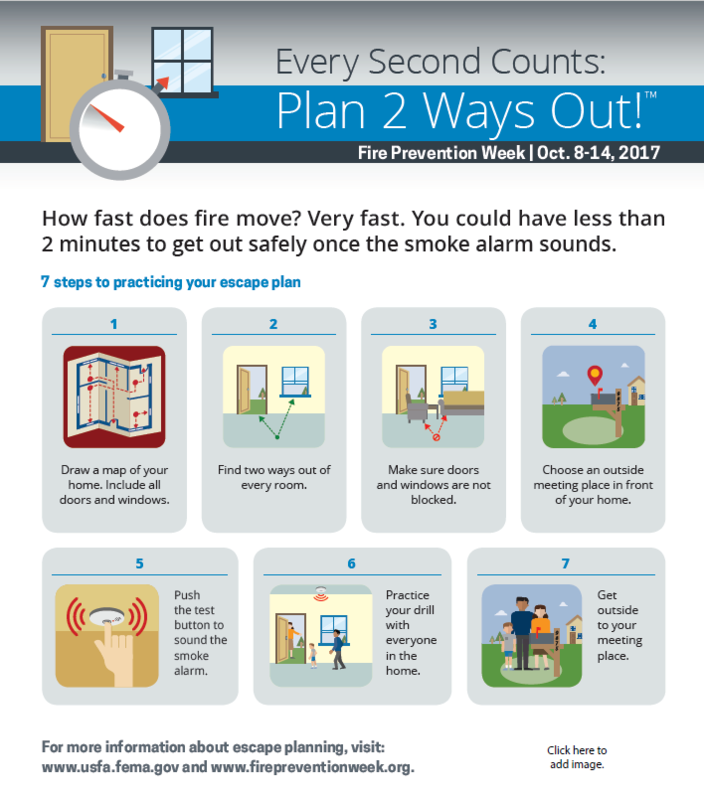 Smoke detectors should be placed in each bedroom (sleeping area) and in the hallway leading to the bedrooms. ​How long do smoke/carbon monoxide detectors last? ​How do I dispose of smoke alarms? ​When should I change the batteries in my smoke and/or Carbon Monoxide detectors? ​For detectors that have batteries which are accessible they should be changed when you move your clocks twice a year. Newer detectors have sealed batteries and are not changed during the life of the detector. Consult manufacturers information for your specific type of detector. ​What is the best kind of extinguisher for my home? ​A multi-purpose fire extinguisher is best for the home. Look for the rating to be at minimum 2A 10B C on the label. This extinguisher can be used on any type of fire commonly found in the home. (It will often be labeled A-B-C.) It is recommended that an extinguisher be installed in the kitchen and in the garage. ​How do I go about creating an escape plan for my home or business? ​I saw Emerson Fire Department Units responding outside of Emerson. Why were they doing that? ​The Emerson Fire Department provides mutual aid response to our neighboring communities when they need our assistance. Some of these communities also respond to Emerson to assist us. 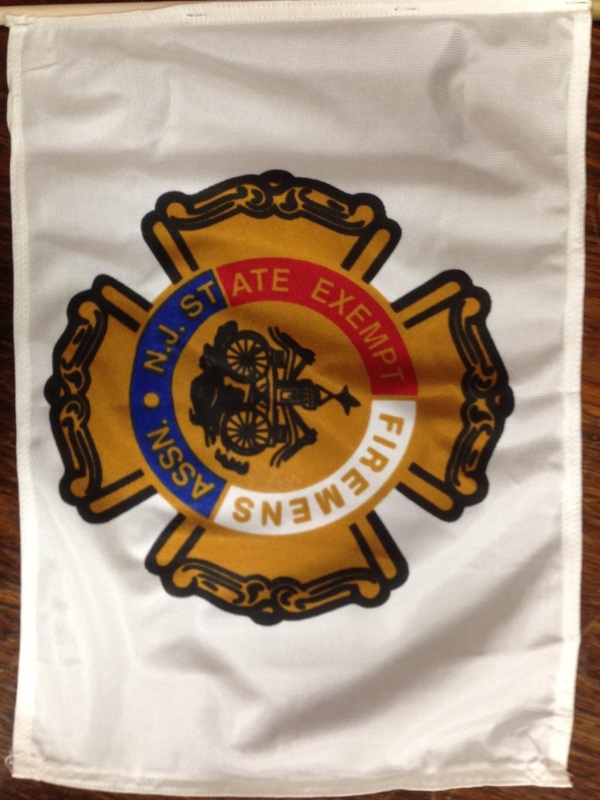 Anyone wishing to obtain a NJ State Exempt Fireman flag for placement at the grave-site of a deceased Emerson Exempt Firefighter can stop by the firehouse on any Monday night after 7:30pm. We have flags in stock that we will gladly supply.